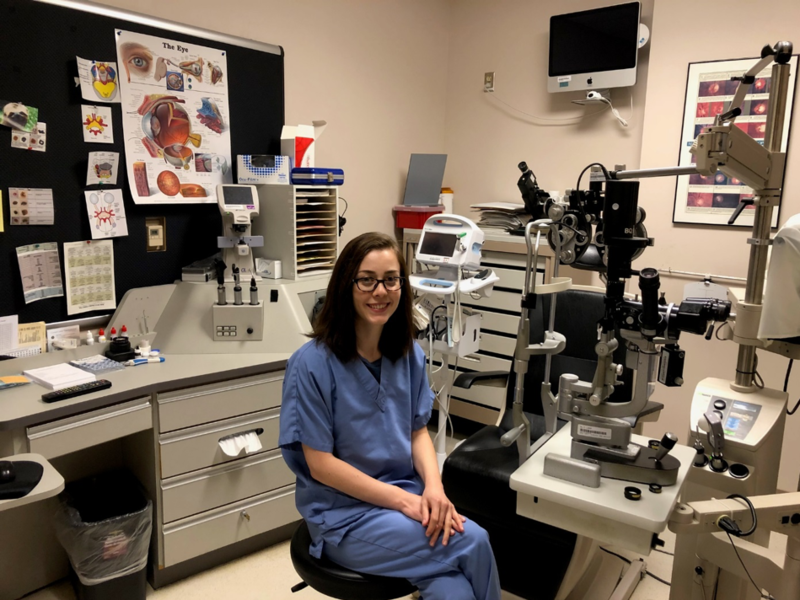 The WJB Dorn VA Medical Center Optometry residency is a dynamic program designed to provide an excellent clinical and educational experience for our residents. We have six distinguished attending optometrists in our faculty and we are truly passionate about clinical education and providing the best care for our patients. 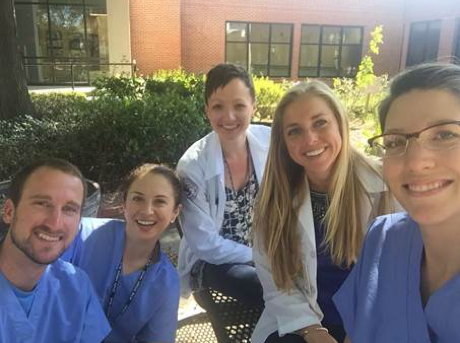 We have three residents annually and we also have a robust externship program with eight to nine externs each quarter from our seven affiliated optometry schools. Our residents develop a well-rounded skill set that will serve them well in their future careers. They manage significant ocular pathology, achieve in-depth clinic experience in specialty contact lenses, low vision, binocular vision, and emergency/acute eyecare. 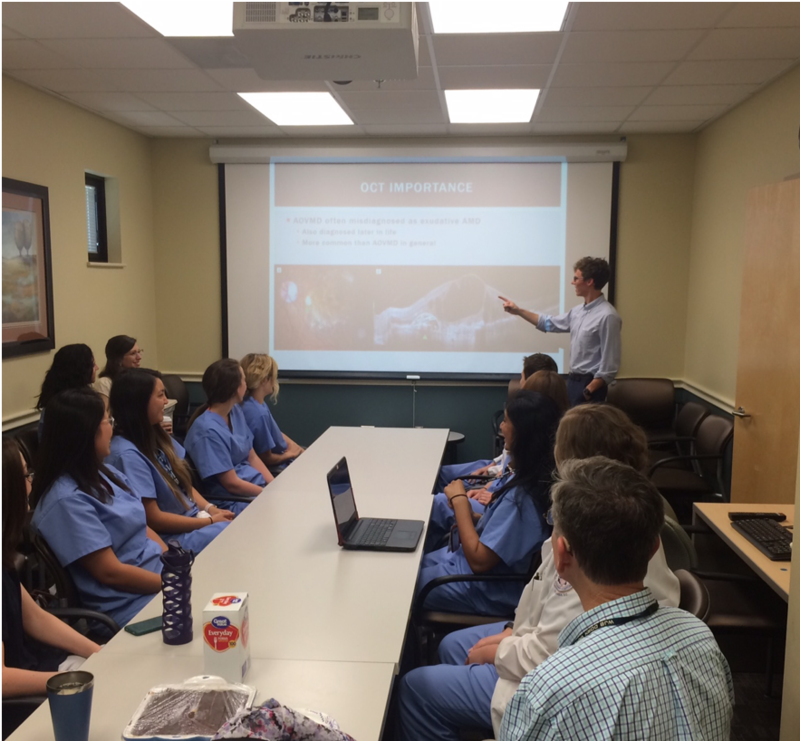 We have weekly high caliber educational grand rounds meetings with our attendings, residents, and externs. Residents will read and discuss key literature articles with faculty throughout the year. 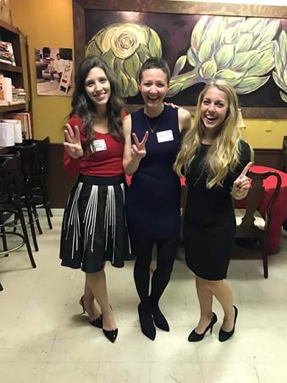 We are enthusiastic about mentoring our residents to present at professional meetings such as AAO residents day and SECO. 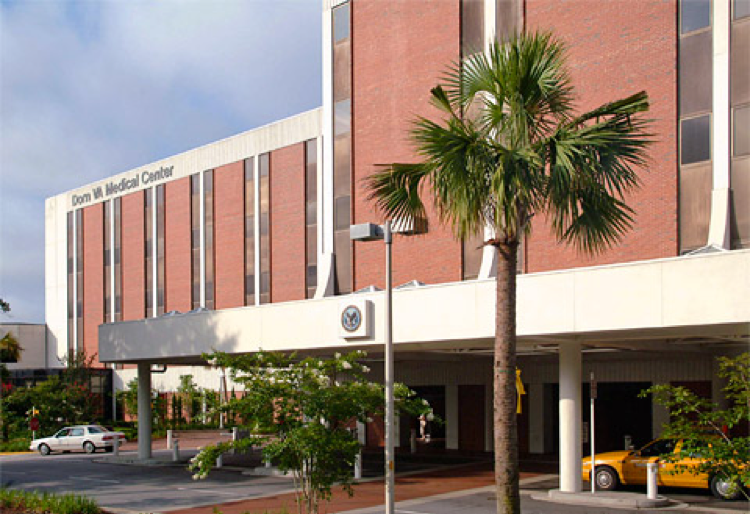 WJB Dorn is a full-scale VA Medical Center with many clinical specialties so our residents have the privilege of serving our veterans as a part of the full health care team. It is situated on a beautiful campus shared with the USC School of Medicine. We interact with other specialties routinely and residents have the opportunity to shadow in other clinics including endocrinology, dermatology, cardiology, emergency department, rheumatology, mental health, radiology, and more. We also have a full ophthalmology department on site that we work closely with. Being a hospital-based program our residents can utilize all the resources of the hospital including a full laboratory for diagnostic studies, MRI, CT, x-ray, carotid ultrasound, etc. Our clinic is set in a beautiful two-story building connected to the main hospital and has ten fully equipped exam lanes. Residents each get their own room for the duration of the residency year. 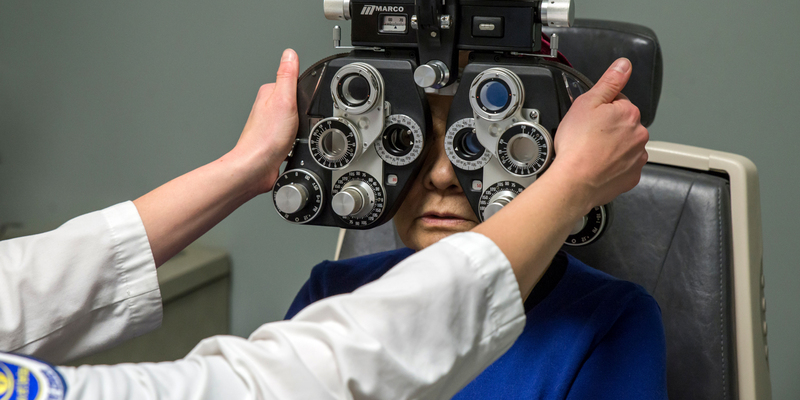 We have excellent equipment at our disposal including OCT-A, Corneal Topography, B-scan ultrasound, retinal and anterior seg photography, HVF/FDT, FA, extensive low vision equipment, specialty contact lens fitting sets, and more. Our residents work on a compressed schedule, four ten hour days per week, which means you have an extra day off each week. There is no evening or weekend call and you have paid personal leave and sick leave to utilize. We are affiliated with Southern College of Optometry, Indiana University, Illinois College of Optometry, Salus University, Western University, Michigan College of Optometry, and Nova Southeastern University. 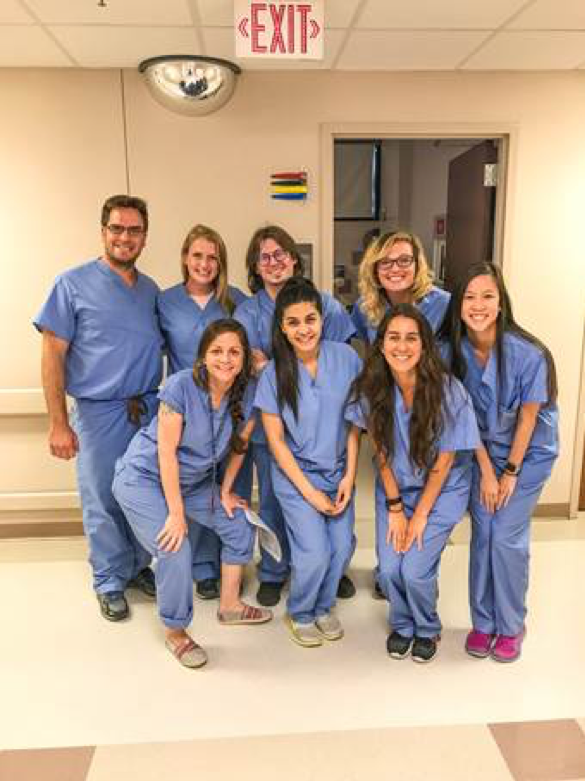 Our externship program contributes to the high energy ethos of our clinic and residents will have the opportunity to precept externs in the second half of their residency if desired. Columbia is a great place to live. 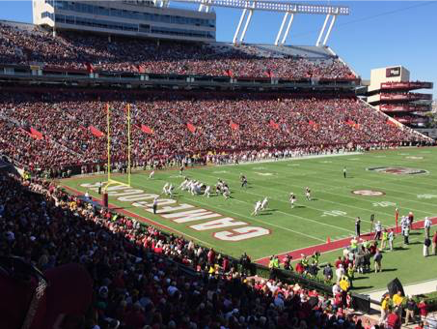 We have all the social, cultural, and sporting events that the University of South Carolina has to offer just a few miles from the hospital. 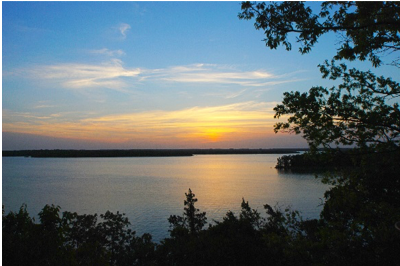 There is natural beauty nearby with Columbia being situated near Lake Murray and only a two-hour drive from both the beach and the mountains. We are unique in that there are multiple good housing options near our hospital so our residents can choose to live nearby and essentially have no commute to work.